An artist who often extol beauty and joy, Tew Nai Tong’s works mainly expresses a combination of Oriental charm and Parisian elegance where watercolour is used to bring out his theme of preference. However, the following sketches depicts his progress of board and paper. 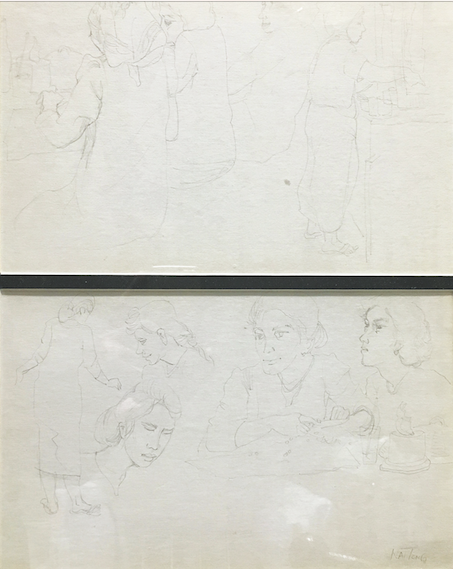 Though the pencil marks of the figures are faint, but the draft is a representation of his vision on his to-be artwork.